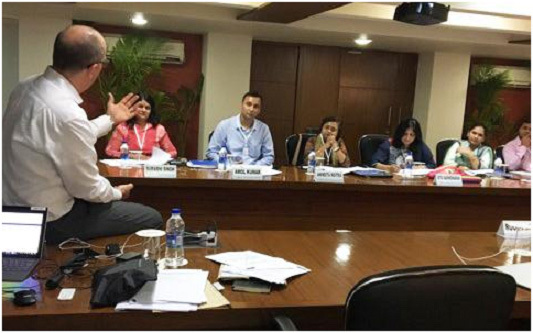 All India Management Association’s, India Case Research Centre (ICRC) organised the 2 days Capability building workshop on Case Writing for B school Faculties on 12th and 13th February,2019 in collaboration with Welingkar Institute of Management Development & Research at Bangalore. The Workshop started with a Panel Discussion on India Centric Management Cases. The eminent academician in the panel were Dr M K Sridhar, Member, Knowledge Commission, Government of India,Dr Anil Rao Paila, Senior Dean , WeSchool, Bengaluru Campus,Dr N R Parasuraman, Director, Sri Dharmasthala Manjunatheshwara Institute for Management Development, Mysuru ,Dr Atish Chattopadhyay, Director, IFIM Business School, Bengaluru,Prof Subhash Sharma, Director, Indian Business Academy, Bengaluru,Dr Raj Agrawal, Director , AIMA-CME and Dr. C Manohar, Director ISBR, Bengaluru. The objective of the workshop was to equip the participants with the skill of Case Writing and drafting teaching notes in a structured manner.The cases submitted by the participants after the workshop will be reviewed by the ICRC Review committee and the editors before publishing them in the AIMA’s ICRC’s Case Journal CASEPEDIA. The workshop was attended by 19 Indian and 1 international participant. The methodology of the workshop included experiential learning approaches, management best cases studies , Individual case development and peer review/ discussions and expert feedback on individual cases. Next Capability workshop is scheduled to be held in in month of April 2019. The objective of the workshop was to equip the participants with the skill of Case Writing and drafting teaching notes in a structured manner so that the cases drafted by them after the workshop can be published in AIMA’s Case Journal, the CASEPEDIA and also be used by the B Schools as a teaching aid. 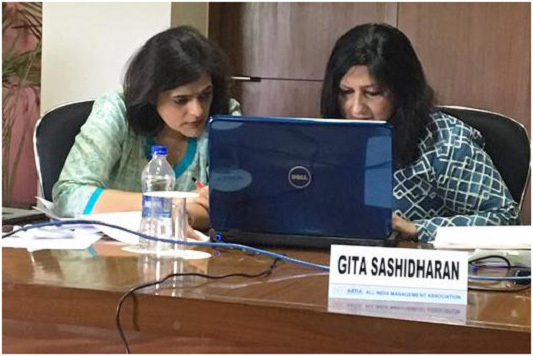 The workshop was conducted by Dr B Bhattacharya, Former Dean -IIFT & Sr. Advisor to the UN Archive, Ms Meeta Sengupta, eminent case writer and Advisor, Dr Raj Agrawal, Director Centre for Management Education, AIMA, and by Dr Anuja Pandey, Associate Professor, AIMA. 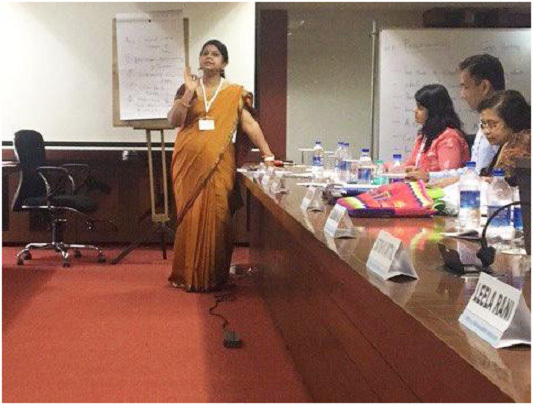 The workshop received an overwhelming response of 30 participants and was attended by the B School Faculties and Research Scholars from across India. The methodology of the workshop included experiential learning approaches and theories behind developing a good Case Study, introducing industry best examples/cases, group discussions and feedback on individual cases. The participants have been given the study notes and templates to draft their cases. The cases submitted by the participants will now be reviewed by the ICRC Review committee and the Editors before publishing them in the AIMA’s ICRC’s Case Journal CASEPEDIA. Third Capability workshop is scheduled to be held in Weschool, Welingkar, Bangalore on 12th and 13th February 2019.